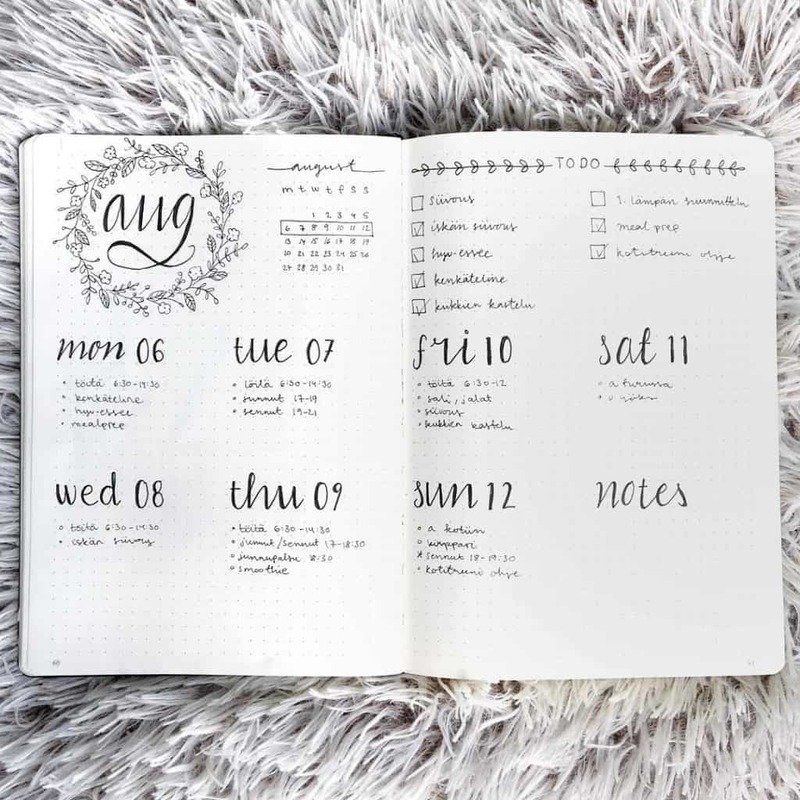 When it comes to bullet journaling, everyone has their unique style. 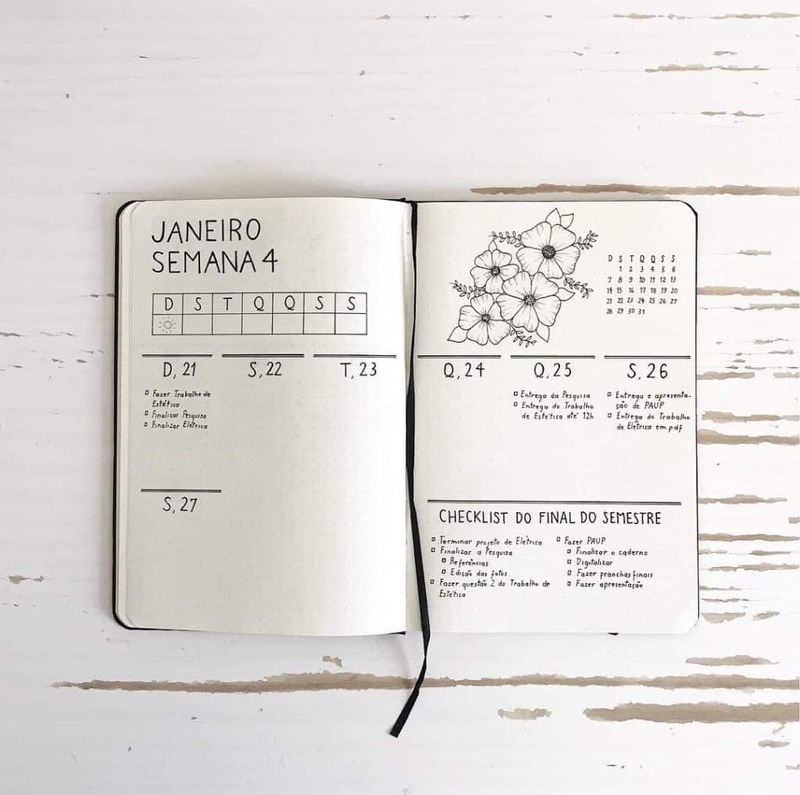 Some might love the traditional minimalist style, while some others use their bullet journal to create artistic masterpieces. And some other people fall somewhere in between. Not entirely artistic or minimalist. Whatever your style is, you keep evolving. 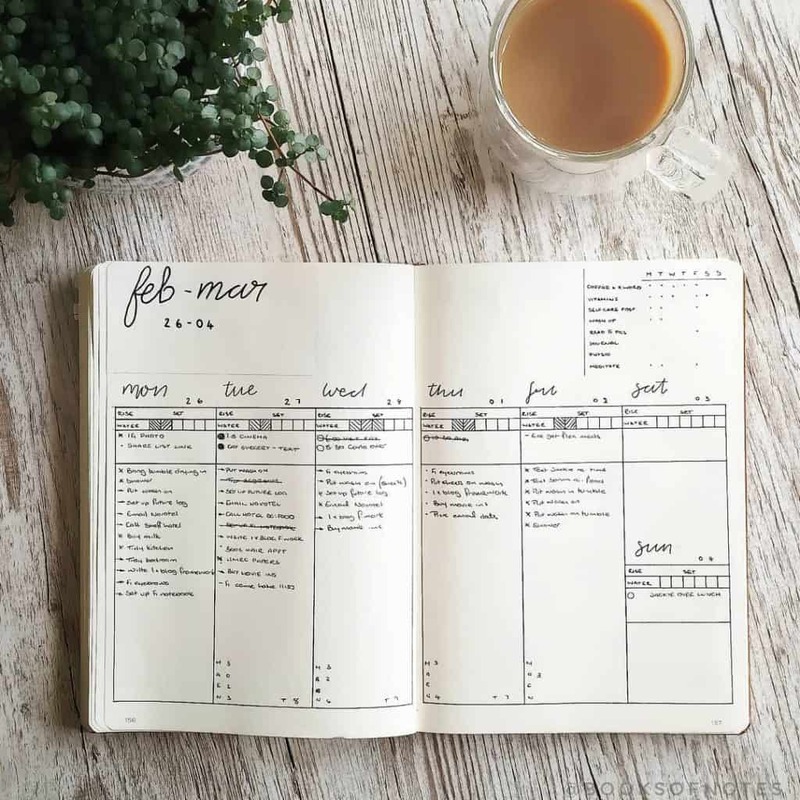 Most bullet journalers like to experiment with different spreads or trackers every week or month. I also get bored if I create the same spread again and again, though I have some fall-back spreads that I keep creating because those are convenient and functional for me. The place I look for when I want to draw inspiration to create new styles is Instagram or I look for round-up posts like this on Pinterest. My style is mostly minimalistic. My spreads are not fully black and white, I use fineliner pens and mildliners for color coding. And I know many people love the minimalist and functional style too. 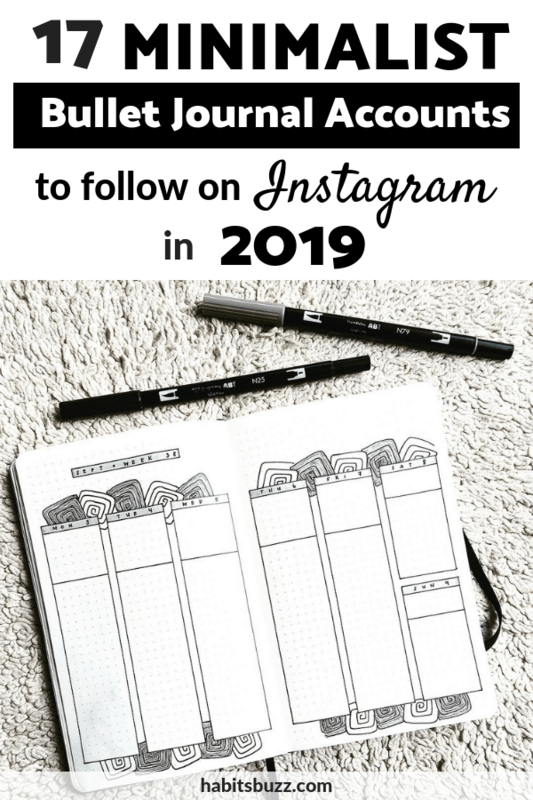 When I want to try new ideas in my bullet journal, I always look at Instagram accounts for inspiration. Instead of searching all over the place, I follow some Instagram accounts whose style suit mine and I save ideas whenever I check Instagram. 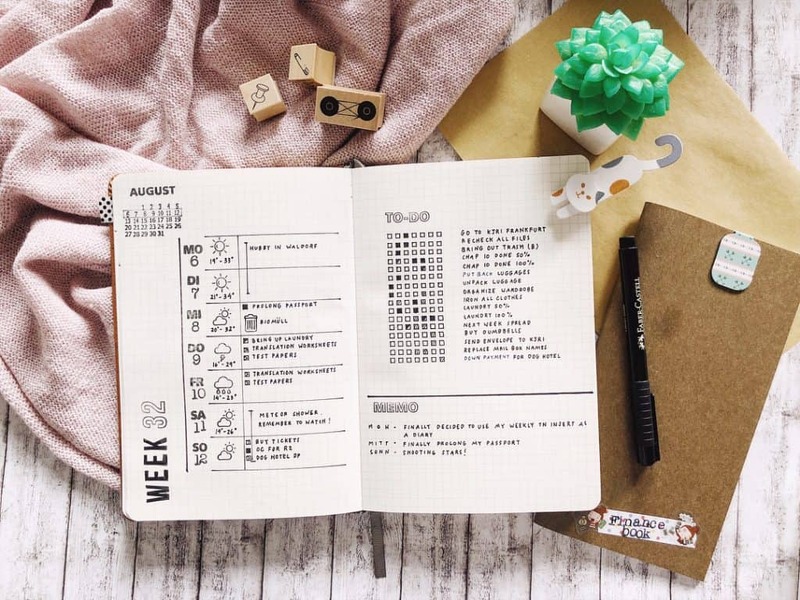 So, here I have compiled a list of minimalist bullet journal accounts you can follow on Instagram to keep getting fresh ideas. Let’s take a look. I like Stina’s style. Her spreads are all in black and white, still they look beautiful and neat with all the doodles and drawings. I have been following Jane’s account for a while. She is an excellent doodler. 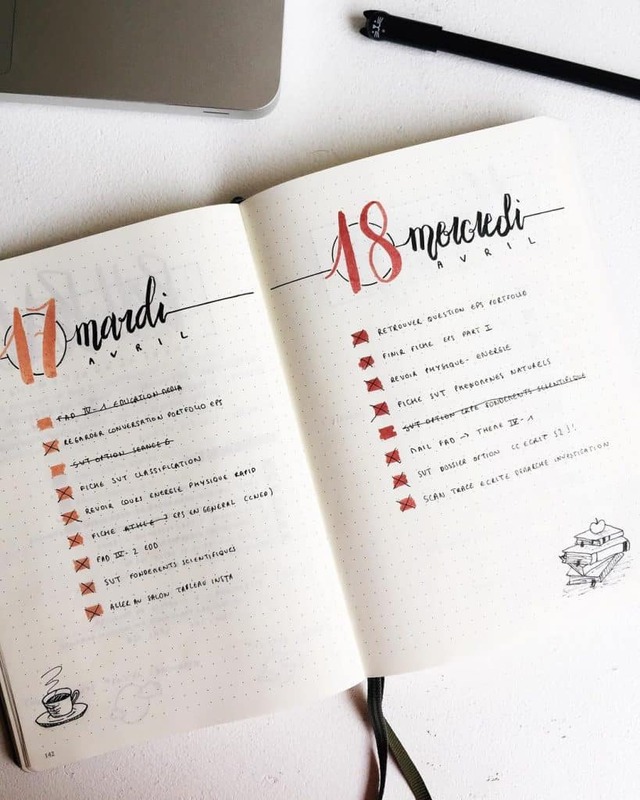 Even though she doesn’t seem to experiment with different styles when it comes to weekly spreads, she makes it different by doodling. 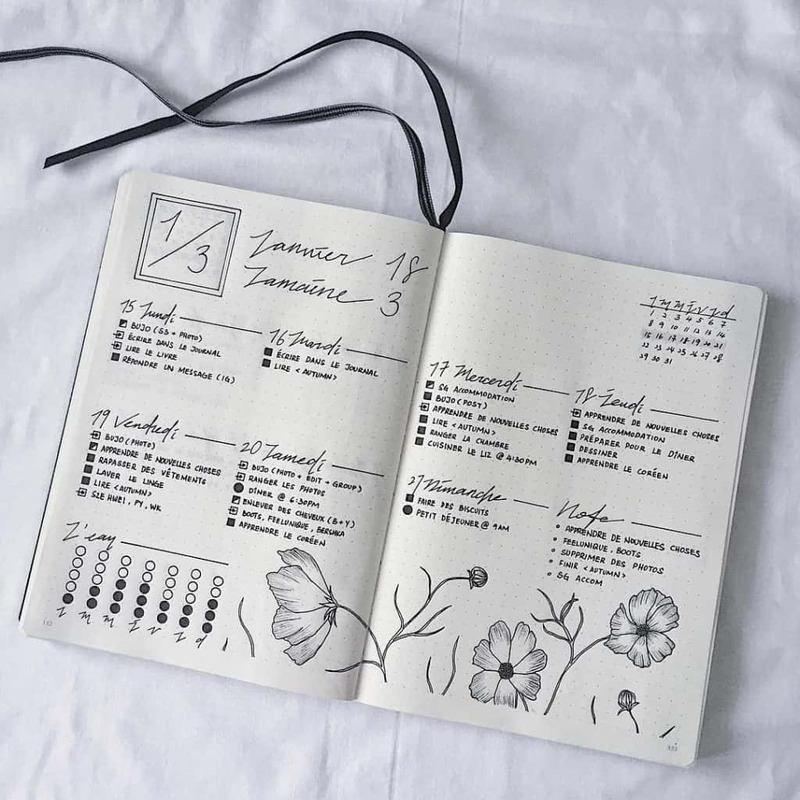 What I love about her style is how she combines minimalist bullet journaling with doodling. Lately, she has been posting video walkthroughs of her doodling. You must follow her account if you love to doodle or wanna learn to doodle in your bullet journal. Marta’s Instagram feed is so “minimalistically beautiful” (Sorry, I just made up this word) that I had a hard time choosing a picture to feature. 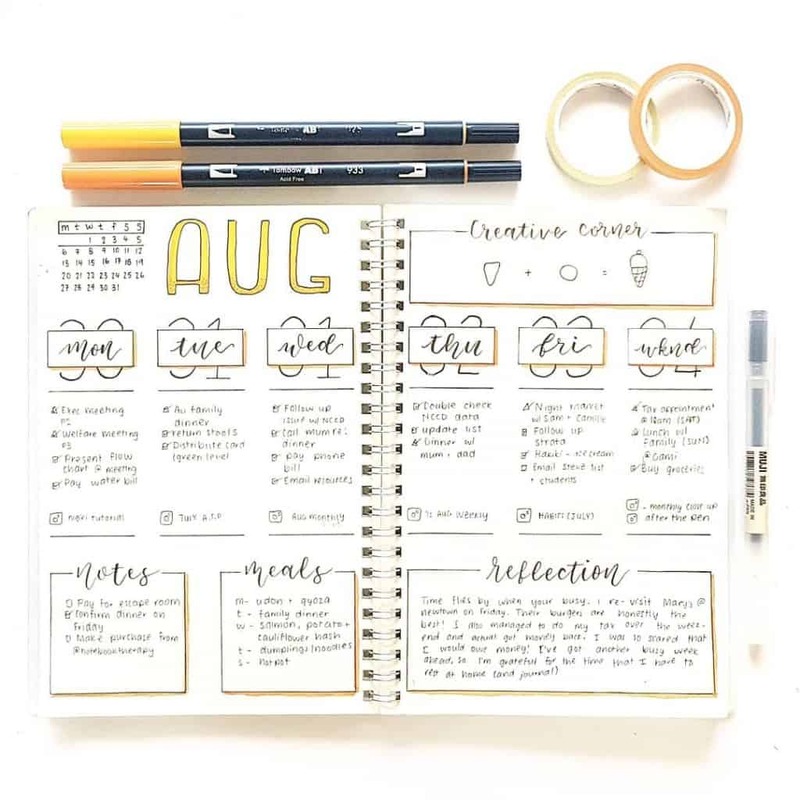 You should take a look at her account for more inspiring ideas for weeklies and all kinds of minimalist bullet journal spreads. She has a simple style which is not intimidating at all. Also check out her brand new Youtube channel here. 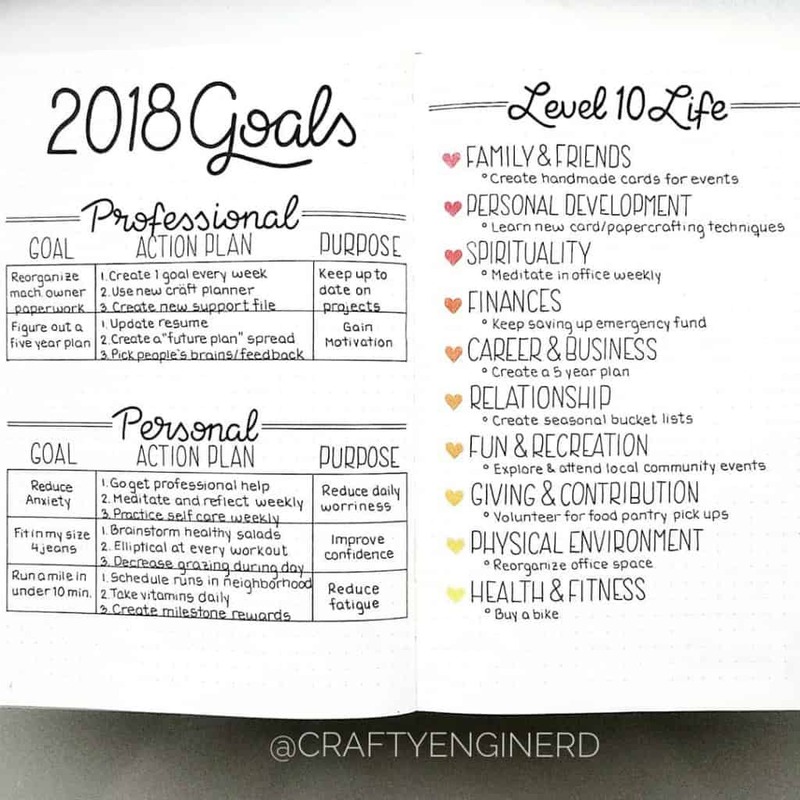 Follow @craftyenginerd to draw inspiration for different bullet journal spreads and trackers. I love her handwriting and how beautiful the spreads look when filled in. 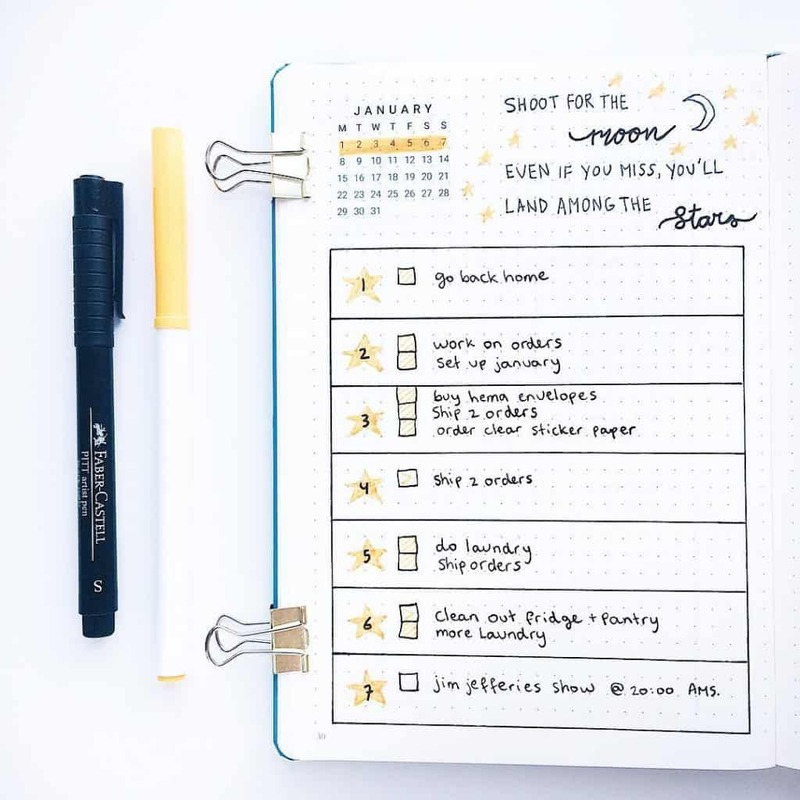 If you love to draw simple doodles in your bullet journal spreads, check out Mariana’s account. 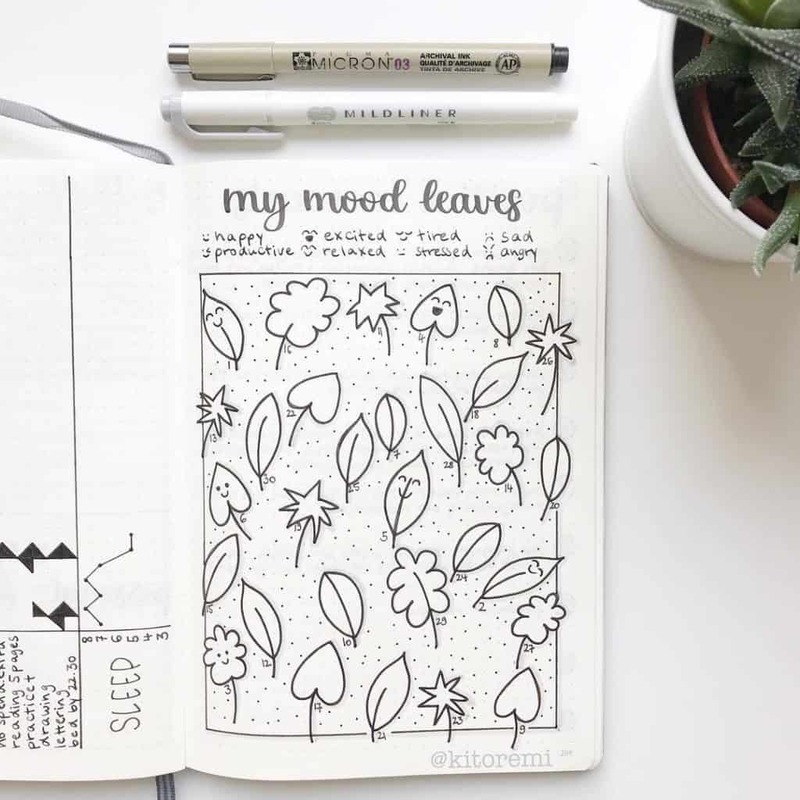 She draws beautiful flower doodles in her bullet journal. If you don’t want to doodle, you can still draw inspiration from her simple and minimalist spreads. Juliane’s Instagram feed is not entirely monochrome, but she has a simple minimalistic style. She always tries new layouts, so do check out her account for more inspiration. You can check out her website here, senseistudies.com. This account is relatively new, but I found spread ideas that are minimalistic and easy to replicate. 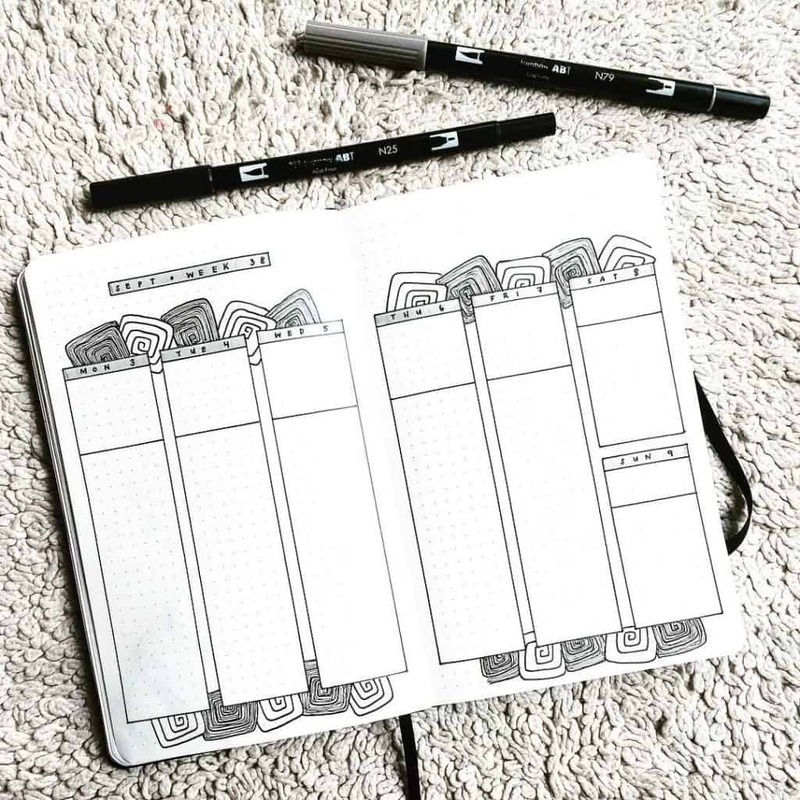 @wezz.bujo has simple, minimalistic and monochromatic spreads like this one. If you don’t like empty spaces in your journal, doodling pictures like this or adding quotes is a great idea. Go check out her account for more. Aren’t these leaves super cute? Kimi has more of such ideas on her account. 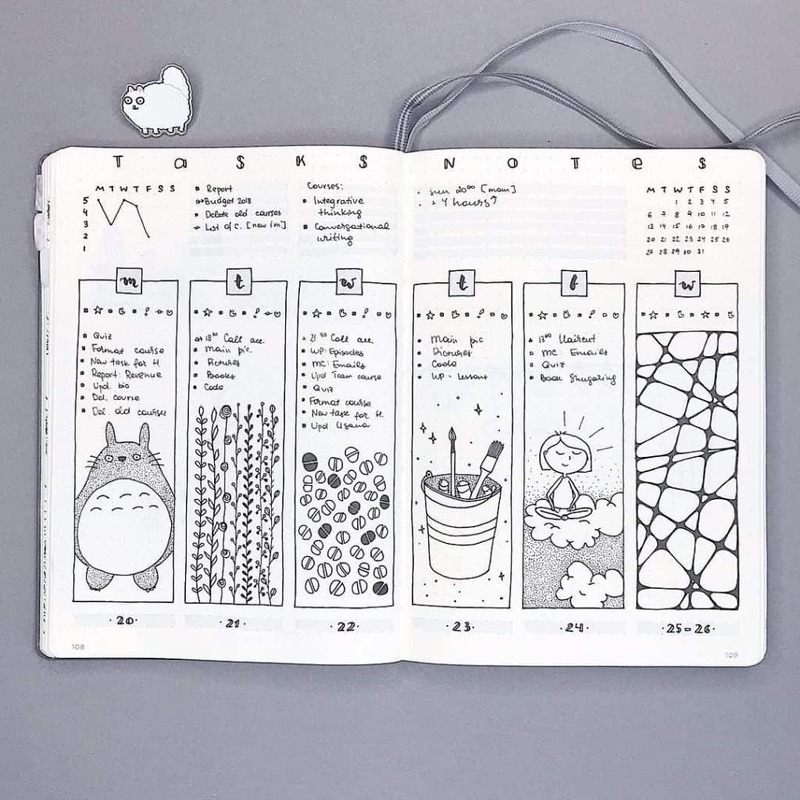 She is a minimalist bullet journaler and posts picture tutorials of such cute doodles. Check out her Instagram for more. @dotted.v is an excellent doodler. 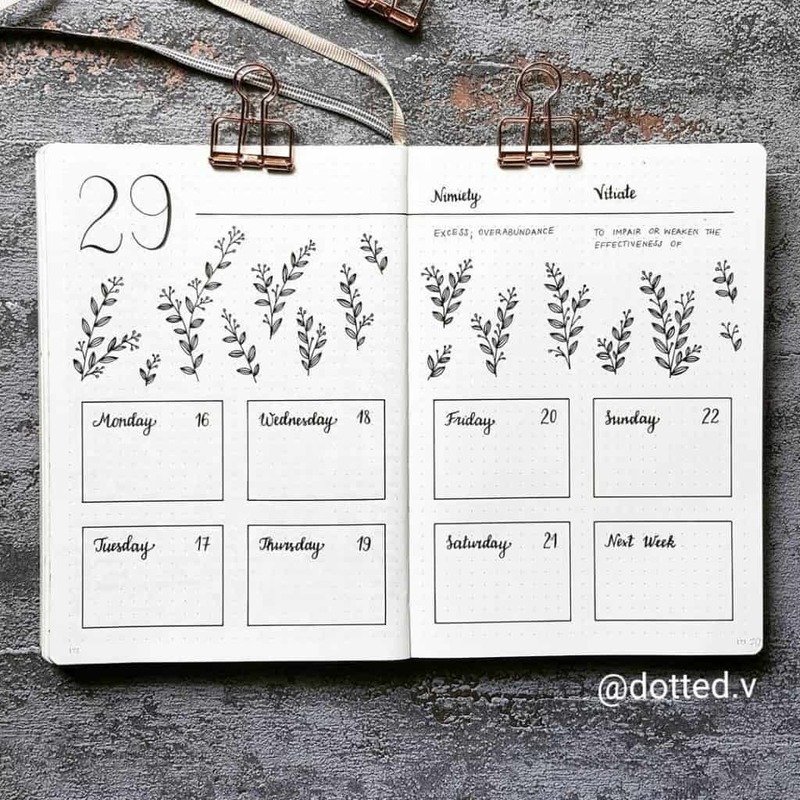 All her spreads are heavily decorated with doodles, but she still goes with minimalism. Aren’t those geometric patterns lovely? You can see colorful and black and white spreads on Victoria’s Instagram feed. But all of her spreads are simple and minimalistic. I love such spreads which are easy to recreate and not overwhelming at all. 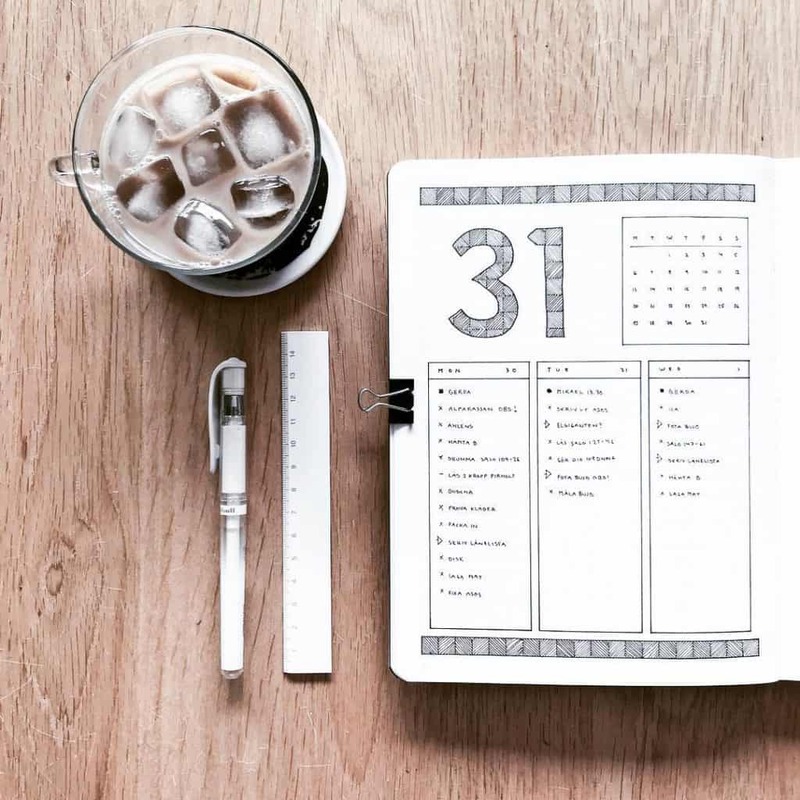 If I can point out to one Instagram account that truly defines ‘minimalism’ in bullet journaling, it would be Olivia’s. It amazes me how with only using black ink and no doodles, her spreads look so attractive. Her handwriting is definitely an asset. If you check out her account you can see she uses only black ink and lines to make clean yet beautiful minimalist spreads. If that’s your style, you should definitely follow her. 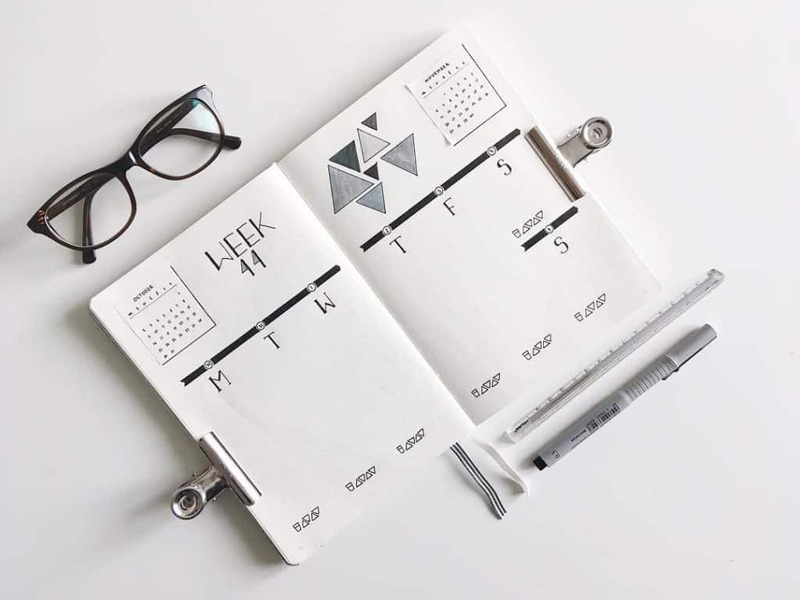 @planwithflo keeps her bullet journal minimalist and attractive using clear stamps and stencils. She keeps experimenting with new styles. 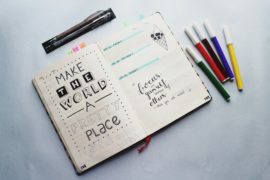 I always check this bullet journal account for new ideas and inspiration. If you love simple and functional spreads like this one, check out this account. Justine’s Instagram account is not “monochrome” minimalist. But I think her spreads have a simple, clean look and they are easy to set up. Do check out her Instagram account for more beautiful minimalist spreads. Like many others, Sharona’s Instagram account is not typical “black and white” minimalist account. She likes to doodle to fill in the small spaces and gaps. I find her feed simple and cute with those super cute doodles. Now, if you don’t like you can choose not to draw but can still draw inspiration from the spreads. 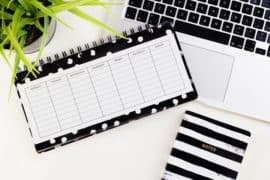 I hope you could find enough inspiration for your minimalist bullet journal. 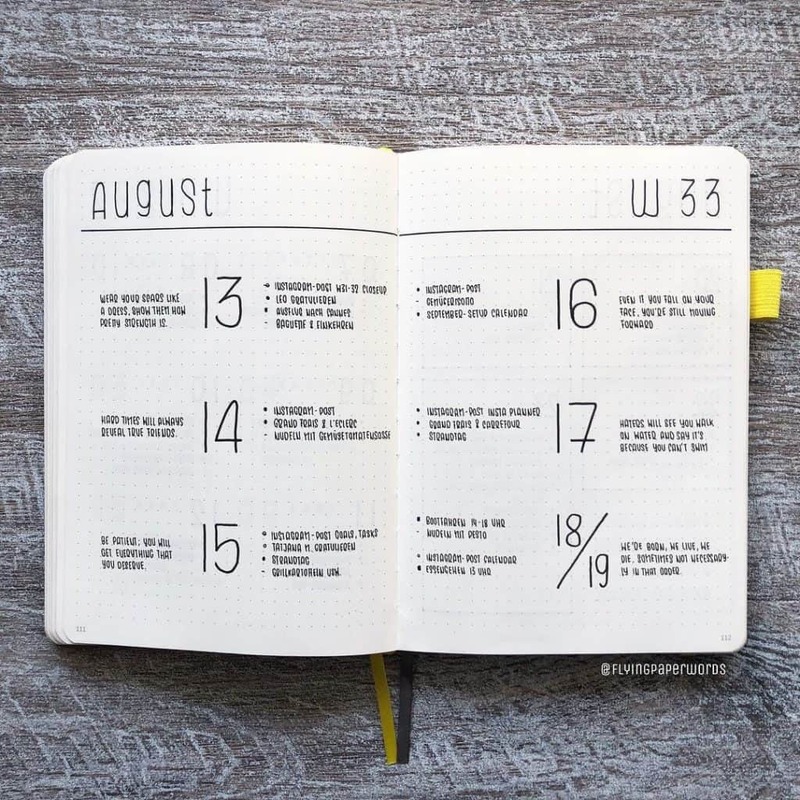 If you haven’t started a bullet journal yet, read how to start a bullet journal when you aren’t artistic. 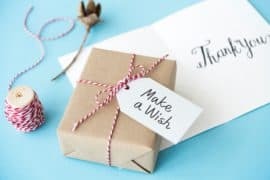 PIN this post so that you can come back whenever you need inspiration!